Imagine this situation: you know that your team have excellent skills and experience but are simply not natural communicators. Your architectural practice is known for high quality design, creativity and prominent projects in housing, workplace and education. Your staff pitches regularly to potential clients and due to your company’s high profile and knowledge you are also asked to present at conferences, often at short notice. The content of your presentations is excellent but the delivery style needs refreshing and the presenters sometimes lack confidence when communicating their message. So what made the difference to the team at MJP Architects and directly resulted in their winning a piece of work worth millions of pounds? A Partners With You bespoke coaching programme to help staff present successfully, biased towards initial meetings and competitive interviews but also with tools and techniques to help build confidence in all presenting situations, was created. Jeremy Estop, managing director, wanted long lasting impact on his teams’ presenting styles so a coaching programme for groups of five people was run over a period of several months. 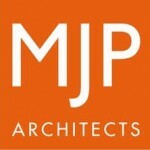 This provided MJP with the techniques they needed to help them win new projects, time to assimilate the new approach and the opportunity to re-visit areas that the team found more challenging. The team also benefited from seeing their colleagues present so that they could support each other more effectively in future presentations and receive instant diagnostic feedback. The sessions were so successful that the team took advantage of the Train to Gain funding programme and had a second round of sessions to advance their skills. The workshops were expanded for other senior members of the company thanks to the funding available through Partners With You.